The popularity of Mauritius as a luxury holiday destination means that several international airlines have introduced routes to the island nation, including Air Mauritius, which operates direct services from London and other major European cities, such as Paris, Frankfurt and Milan. Holidaymakers can fly to Sir Seewoosagur Ramgoolam International Airport, which offers facilities including duty-free shops, food outlets, foreign currency exchange desks and a postal service. Passengers willing to pay a little extra to add some additional comfort and luxury to their trip can access two lounges - La Terrasse in the departures area and the Arrival Premium Lounge. Taxis and buses are available to take travellers to their holiday destination and resort, along with car hire from major agencies such as Avis, Europcar and Hertz. Along with fellow island hotspots such as the Maldives, the Seychelles and the Caribbean, Mauritius is synonymous with luxury, relaxation and indulgence. Located in the south-west Indian Ocean, about 870km east of Madagascar, the nation comprises the main island of Mauritius and the smaller isles of Cargados, Carajos, Rodrigues and the Agalega archipelago. Mauritius itself covers an area of just over 2,000 sq km and is populated by nearly 1.3 million people, many of whom rely on tourism as one of their primary sources of income. English is the country's official language, but French and Mauritian Creole are also widely spoken. There are many ways for holidaymakers to make the most of their time in the destination, from relaxing on some of its numerous white-sand beaches to trying the various watersports and outdoor activities on offer. 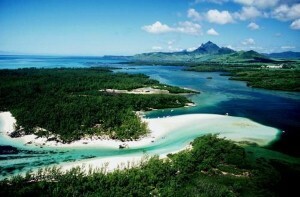 One of the most appealing aspects of Mauritius for many visitors is its array of idyllic beaches, which offer soft white sand washed by crystal clear waters. Among the most popular coastal locations on the island are Pereybere, a small cove between Grand Bay and Cap Malheureux, and the stretch of seafront from Belle Mare to Trou d'Eau Douce. The destination is also famous for its watersports, with scuba diving centres available in locations such as Blue Bay and Flic en Flac. Experienced surfers or people interested in trying the activity can head to Le Morne and Tamarin, which are highly popular for swimming and surfing alike. Mauritius also offers plenty of sights for visitors to see, such as the ruins of the old Balaclava estate. Sea walls and other structures are visible just a few metres away from Tortues Bay, which 17th-century sailors named to reflect the sizeable population of tortoises in the area. The north of the island is also home to the Labourdonnais orchards, which encompass a colourful array of plants and flora. Visitors can embark on a hike or a mountain bike ride to see tropical fruit trees, perfumed exotic flowers and other natural spectacles. Another attraction that nature lovers might want to consider is the Black River Gorges National Park, which spans an area of nearly 66 sq km. The park was created in 1994 to protect the native forests of Mauritius and is now home to a variety of endemic plants and rare bird species. A trail leads from the Petrin information centre to an area showcasing some of the park's finest plant life. Enjoy some of the finest views that Mauritius has to offer in the small seaside resort of Souillac, at the southern end of which is a clifftop vantage point. The village is also home to gardens overlooking the sea that were named after Dr Charles Telfair, an Irish botanist who worked in Mauritius in the 19th century. 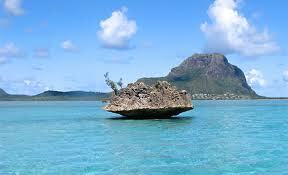 Mauritius has a tropical climate, with warm, dry winters and hot, humid summers. December, January and February are generally the hottest months of the year and June, July and August are the coolest. The summer season, from November to May, also brings a risk of tropical cyclones, meaning winter visits are the best option for holidaymakers looking for warm, comfortable conditions.